Boston Public Schools Superintendent Tommy Chang said Friday he would step down after three years. To lead a school system like Boston’s, a superintendent needs to build strong relationships with parents, teachers, the mayor, and the broader community, education experts and city officials said Saturday. For Superintendent Tommy Chang, who announced Friday he would step down after three years, a failure at community-building stymied efforts to improve the public schools, they said. Chang, who took charge of Boston’s 56,000-student district in 2015, was three years into his five-year contract when he announced Friday that he had agreed to resign. He is negotiating with the School Committee “for a mutual parting of ways,” he told the Globe Friday. Chang, through a spokesman, declined to comment Saturday. Chang’s departure comes amid criticism that his tenure was marred by administrative stumbles that revealed breakdowns in communication between his office and other constituencies, including over the implementation of new school start times, and a public rebuke from Mayor Martin J. Walsh last year for not telling him about an IRS audit that found mismanagement of some school accounts. The city school department was also sued last week by a group, including civil rights advocates, to force officials to reveal how much student data has been shared with federal immigration officials. In a statement Friday, Walsh said, “We need a long-term education leader with a proven record in management who can gain the confidence of the community on the strategic vision for the district.’’ He plans to name an interim schools chief in the next week. Michael Loconto, the School Committee chairman, declined to comment Saturday. Chang began his job seemingly eager to reach out to the community. He showed up months early for his job and launched a listening tour before formally taking over as superintendent. Essaibi-George, who leads the City Council’s committee on education and is a former school teacher, said that failure to connect with the schools’ constituents was what brought Chang’s tenure to an end. “You have to be able to develop relationships in this city to be truly successful,” Essaibi-George said. Chang’s tenure broke down over his office’s coordination with Walsh and the School Committee, said Paul Reville, a state secretary of education under former governor Deval Patrick. “So many people were unclear where this administration was heading on education, and without a clear direction, various crises assumed a larger share of importance . . . than they otherwise would have assumed,” Reville said, citing the controversy over proposed school start times. Chang is a well-intentioned person of high integrity, but he didn’t have the interpersonal skills needed to succeed in the job, Reville said. “This one did not work out — and I think it has more to do with the individual than the structure of the position,” Reville said. Past Boston mayors and superintendents have found success by following a clear agenda, such as the tenure shared by former mayor Thomas Menino and former superintendent Thomas Payzant, he said. The city can replicate that success with a future superintendent if the mayor, School Committee, and superintendent can work together, he said. Thomas Scott, executive director of the Massachusetts Association of School Superintendents, said the power of a school superintendent can be limited. Success hinges on being able to convince key stakeholders — such as a school committee, a teachers union, and parents — to follow a course of action. “It’s more about relationships and strategy than control and power,” Scott said. Boston’s tough city politics, diverse population, and challenges with budgeting and transportation are similar to those faced by many urban districts, Scott said, and would come with the job of being an urban superintendent. Jessica Tang, president of the Boston Teachers Union, said in a text message to the Globe that transparency is a key factor for success for a school superintendent in Boston — a city where there is a “historic distrust” of the department, and where the local schools have faced decades of under-funding. Those communication skills will be essential for the next superintendent, she wrote. “We will be advocating for the selection of a leader who can engage community stakeholders in a thoughtful and transparent way and who will stand with us in our efforts to bring more resources to the schools — whether those efforts are at City Hall, the State House, or in Washington D.C.,” Tang wrote. Elizabeth Reilinger, who chaired the school committee from 1996 to 2008, said it was critical to have a superintendent who will set specific goals for the district, and have the leadership skills to keep people accountable in meeting those priorities. A superintendent in Boston also needs to know how to manage relationships between parents, the mayor’s office, and the community, and make sure everyone is on the same page, she said. City Councilor Lydia Edwards said Chang inherited a difficult position as Boston’s school superintendent, as the city continues to grapple with its history, including with busing. She would favor an internal candidate to take over the job — someone with deep experience with the city’s neighborhoods and school communities. “I would welcome [a candidate with] that familiarity with Boston,” she said. 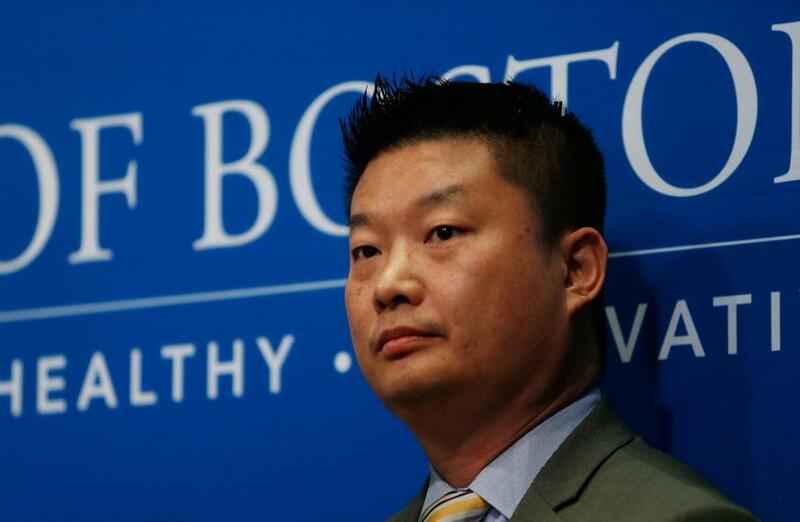 Despite Chang’s abrupt resignation, Boston will still attract high-level educators interested in a superintendent’s post with a national profile, observers said. “Boston remains, for a lot of reasons, a highly desirable place for educational leaders to be,” said Glenn Koocher, executive director of the Massachusetts Association of School Committees. Koocher said superintendents in Massachusetts face tough state regulatory processes, but working in a state that leads in student achievement holds significant appeal.